Well….I thought I knew but I had no idea what living really was until I ate this…..so fresh, so good for you AND so tasty! I perked up like a plant does when you water it! Nutrient overload! Yes! 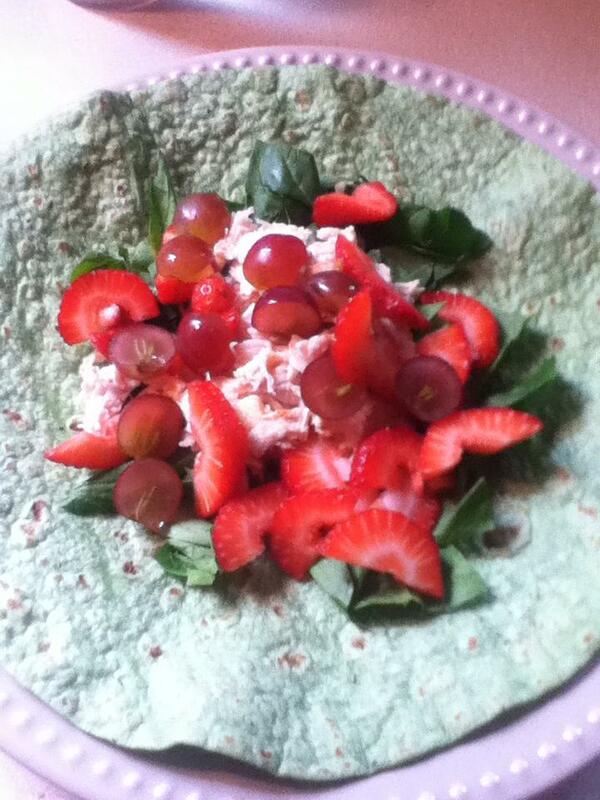 This is what I strive for in my meals and hope that you will too! I want you to feel ALIVE! 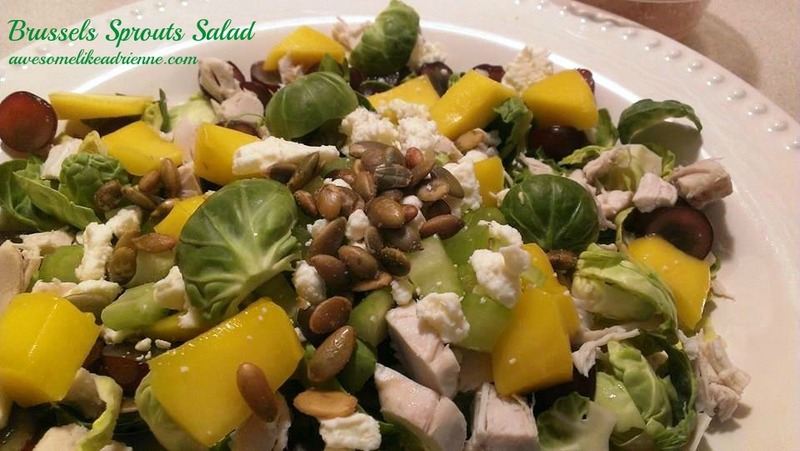 Peel apart what you can of the sprouts and chop up the rest. Place all on your plate and get ready to create something beautiful! 4 oz chicken breast (I made a whole chicken on Sunday and had this chilled and stored in the fridge for the week so I just grabbed some and chopped it up) highly recommend this! 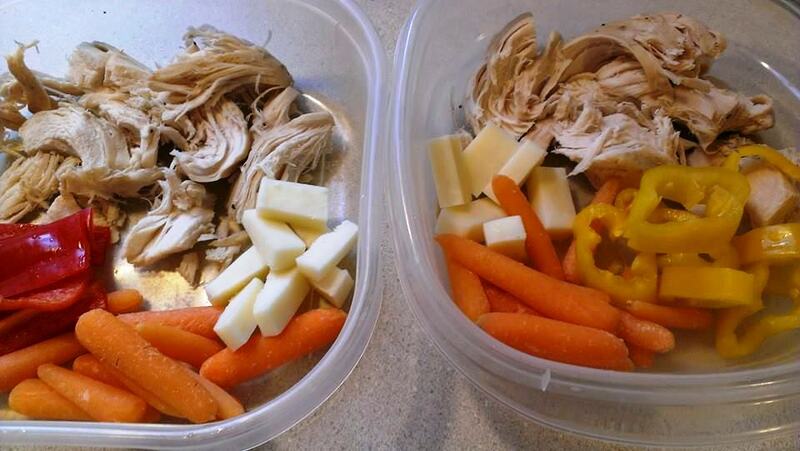 Makes meal prep so easy! I am sure it would be lovely with other ingredients too but this is what I had on hand. I could see it with sweet potatoes, pomegranate seeds, strawberries, nuts, mixed with spinach leaves…you get my drift…create a magical combo on your own if you want, you don’t have to follow any of my recipes to a tee! Mix 1 part vinegar, 2 parts oil (like olive) and 3 parts water. Add a dash of cinnamon, lime juice, salt, pepper, cumin and honey. Whisk together and serve. Take a pre-cooked rotisserie chicken (Giant Eagle $4.99) and shred the breast after removing it from the skin or cook whole chicken or just breast then cool and shred with 2 forks and set aside. To the chicken add 2 heaping tablespoons of plain Greek yogurt, 1/2 c chopped onion, 1/2 c chopped apple, season with black pepper, cayenne pepper and lemon juice to your liking and mix together. 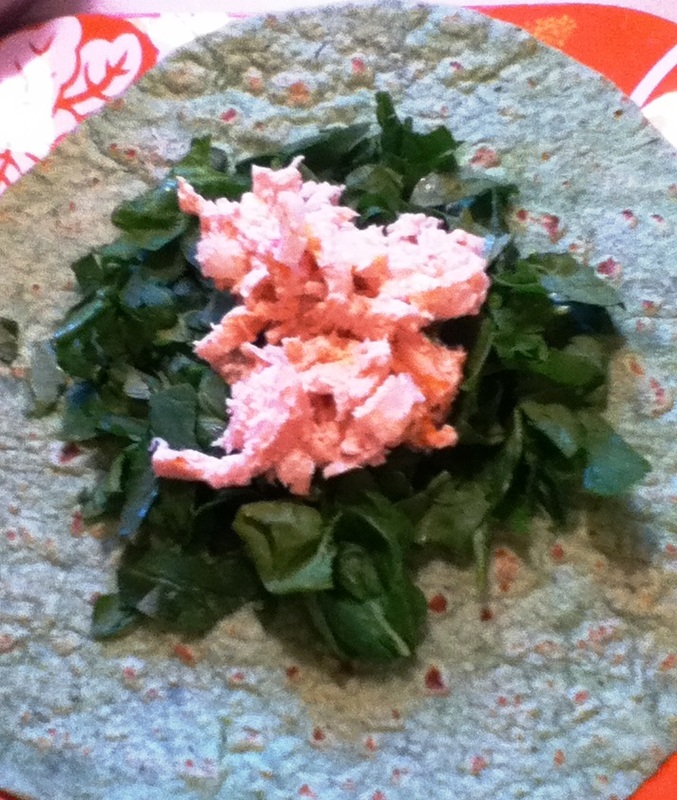 Place 2 handfuls of fresh chopped spinach leaves on top of spinach tortillas (I used Mission brand in garden spinach herb) and scoop chicken on top. 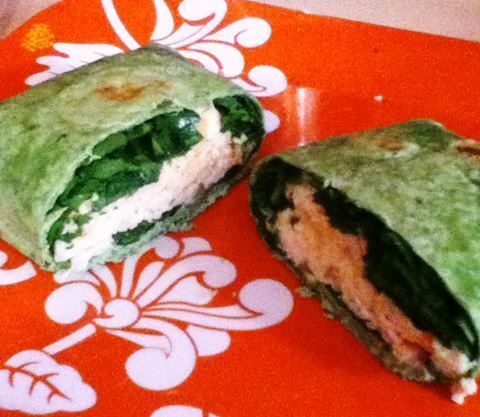 Wrap it up and eat! 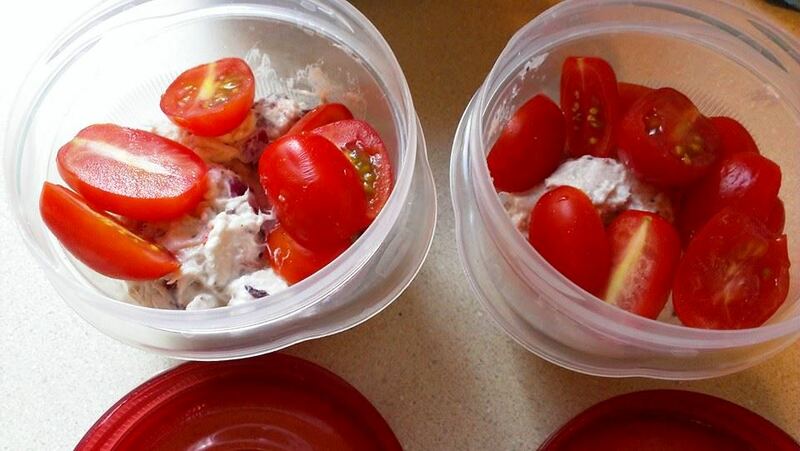 These would be great to make ahead for easy grab and go from the fridge for lunch the next day AND don’t forget about the kids-they would love these too! ———-> Other options to chop and add to chicken salad mixture: celery, carrots, peppers, grapes, berries, tomatoes, asparagus, green beans. 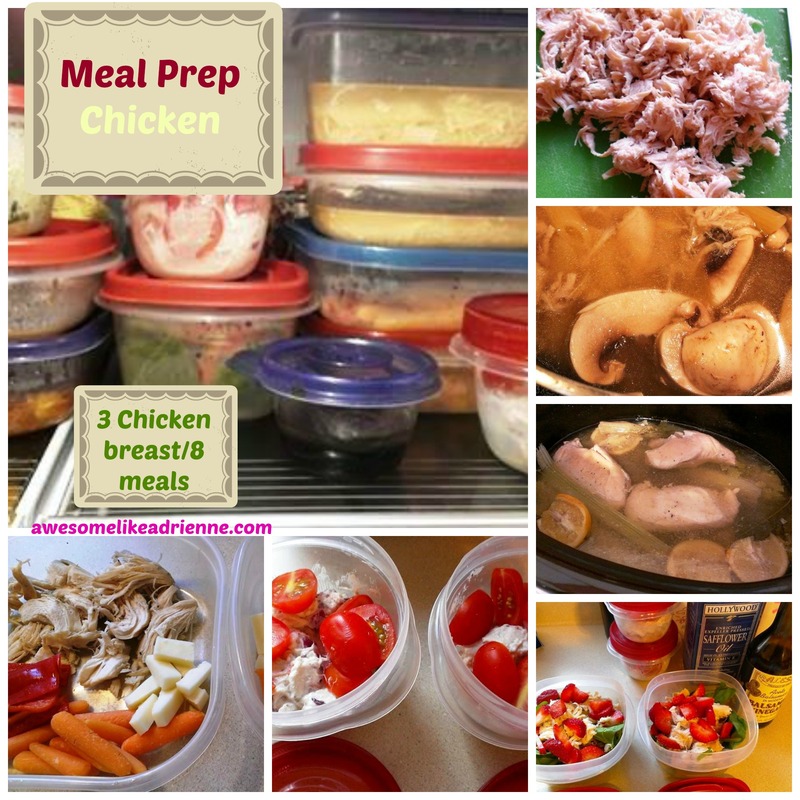 You will need 1/2 lb to 3/4 lb chicken breast or tenders. 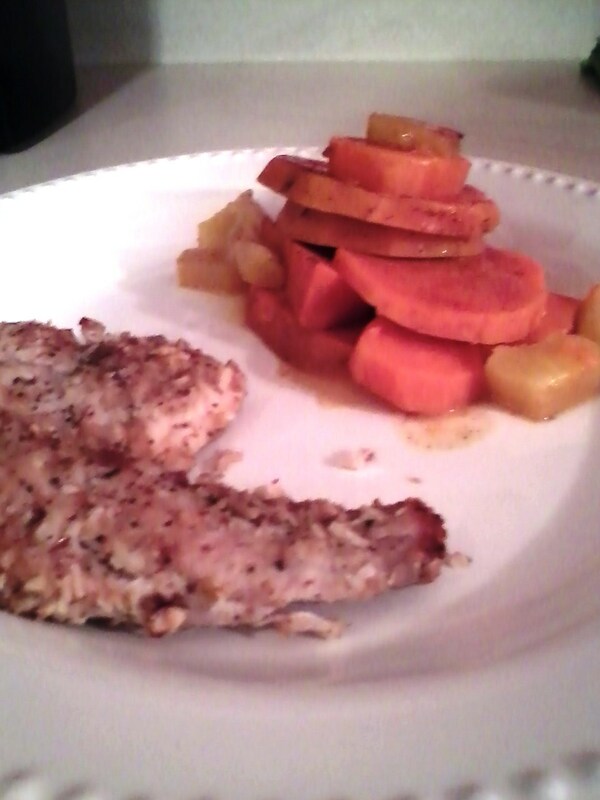 Cook chicken w/ a little salt, pepper, oregano, garlic powder, paprika and lemon juice. Then set aside. Cook pasta-I found these amazing tomato basil noodles by “Amish Wedding”-no preservatives, colors or salt in them AND 9 g of protein in each serving! 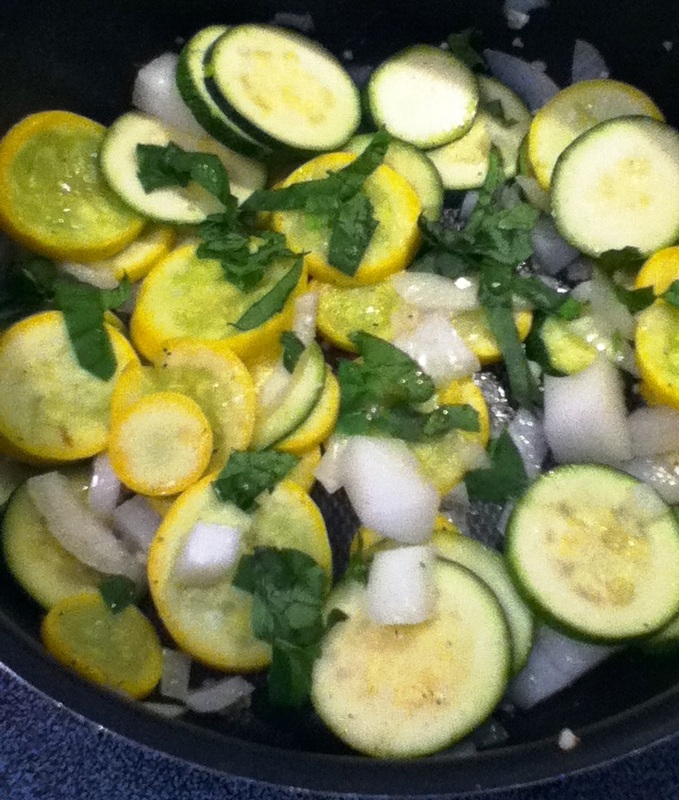 Add 2 c marinara sauce-I like “Mama Rosa” brand to the veggies. Also, add the chicken back in. 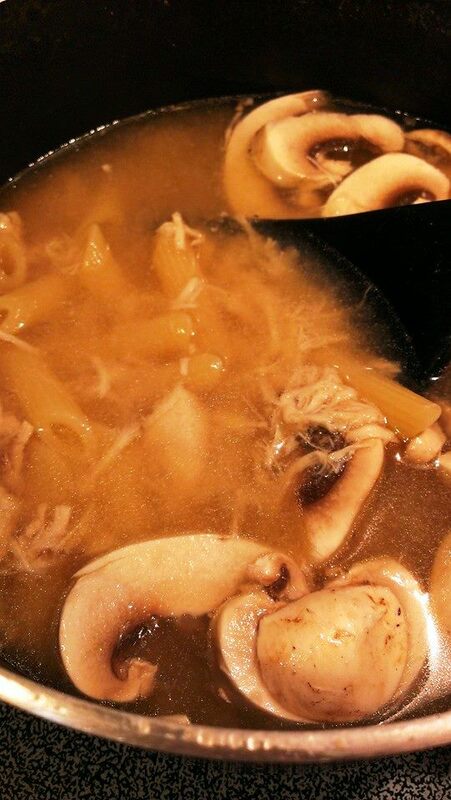 Let it simmer on low together while the pasta is cooking for about 12 min. 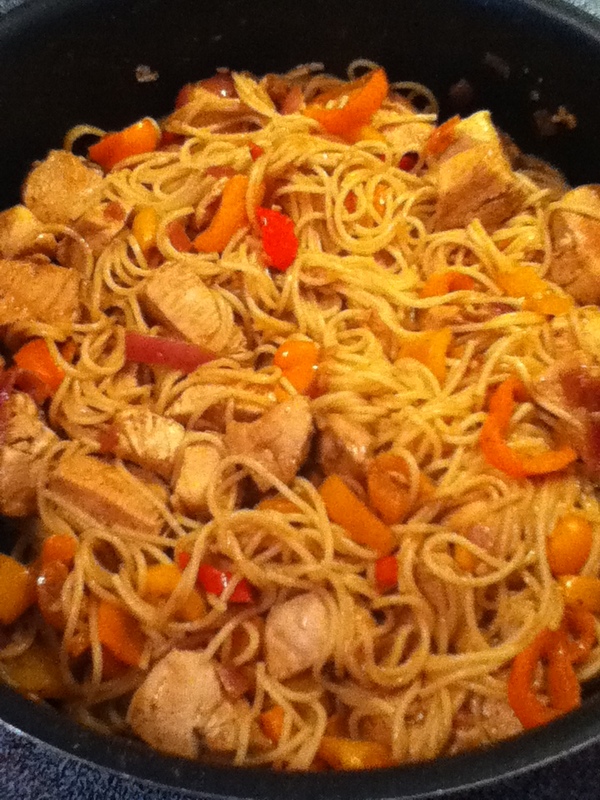 Drain the pasta and then combine in skillet with everything else. Give it a toss and let them all become friends for a few min before serving. Serve with green salad and make sure everyone is a member of the “Clean Plate Club”-that is what we do here at our house and how we encourage our 4 yr old to eat it all up-yes even that mushy squash he ate so he could be in the club!! cube 1 and 1/2 lbs chicken breast and boil in water for 8 min. Drain and then add back to pan with 1/4 c water remaining. Add to the skillet 1 tsp unsalted butter, 2 tsp minced garlic, the peppers and onions. Season with the above seasonings evenly and cook for 10 min on med while the pasta cooks. Toss all together and serve! Serves 3 adult portions and one hungry 4 year old! 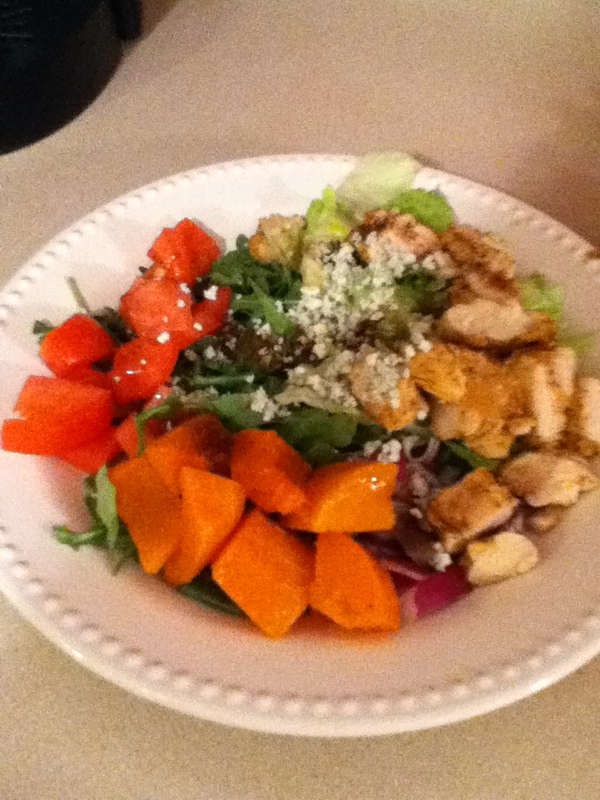 Mustard chicken, butternut squash and blue cheese salad!!! I also did this on a day that I worked from 6 am to 1 pm then again from 5:30 pm to 7:30 pm….so during the afternoon I made the chicken and stored it in the fridge. I prepared the squash and then my boyfriend put it in the oven at 7:15 so when I came home at 8 pm all I had to do was put the lettuce and veggies together then add the squash and chicken. 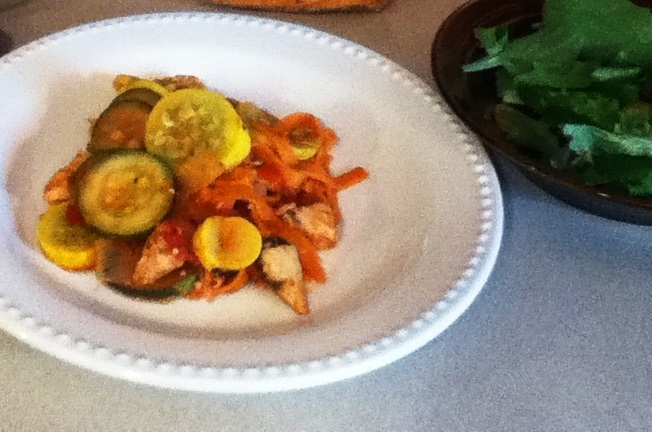 The squash had cooled down a little bit but was still warm (not hot). I microwaved the chicken for 45 sec just so it wasn’t cold but again not hot. Timing and Teamwork made this happen with little effort and it was so good!!! 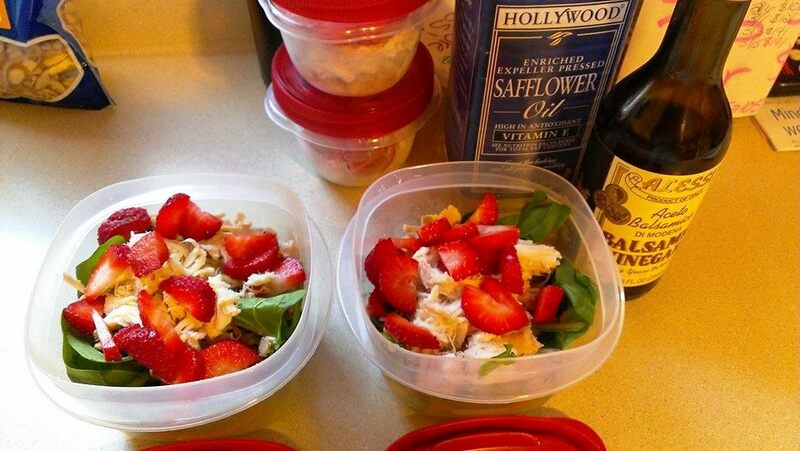 Even if you get home late you can still eat healthy-just takes a little planning! 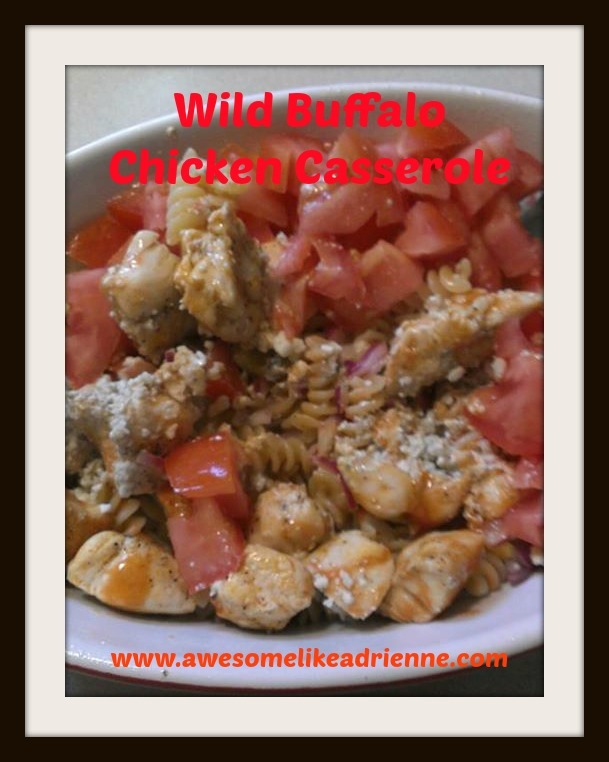 Makes 2 adult sized dinner salads! Take 3/4 cup unsweetened almond milk or coconut almond milk and whisk together with 1 tbsp plain Greek yogurt in a shallow dish and set aside. In another shallow dish take 1/4 c millet flour, flaxseed meal or almond meal and mix together with 1/2 c panko or whole grain bread crumbs, 1/2 c unsweetened coconut flakes and 1/4 c finely chopped almonds. Take 1.5 lbs chicken or turkey breast and cut into tenders. Dip each tender in the milk/yogurt and then in the flour/coconut/breadcrumb mix. 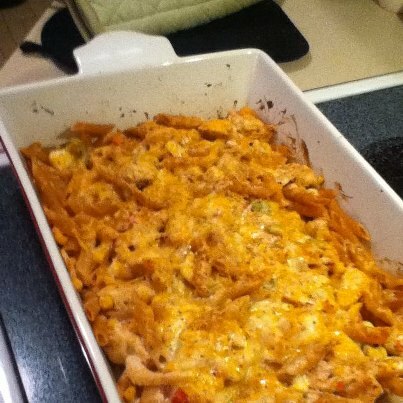 Place on baking sheet and bake at 385 for 35 to 40 min flipping over halfway through. 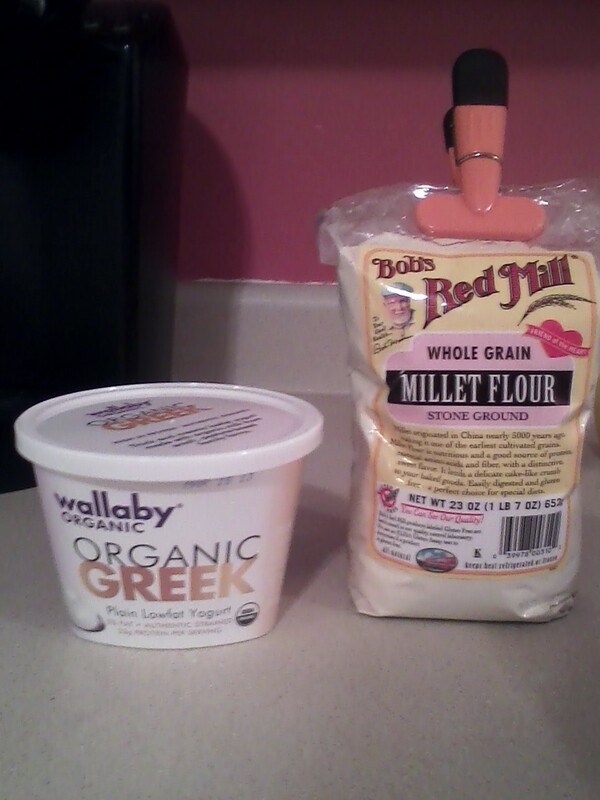 ***FIT Tip***chose your ingredients wisely- Millet flour vs white flour, unsweetened coconut vs. sweetened, Greek yogurt vs. regular yogurt. Better ingredients=a better you!! !